Now that the Bloodroot and Hepatica have finished flowering, the next early spring flowering woodland natives are starting to shine. 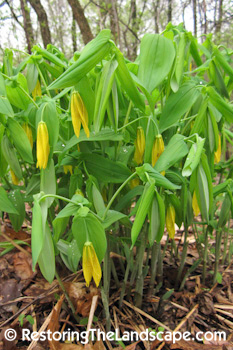 Large Flowered Bellwort (Uvularia grandiflora) seemed to grow 6 inches over night, opening its dangling yellow blooms. This native was present in our yard when we moved in, in a few of the unmowed areas. We have since planted more and have several clumps distributed throughout the shady parts of our yard. 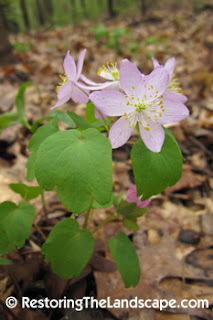 Rue Anemone (Thalictrum thalictroides) is now in full bloom in the local woodlands. It doesn't seem to be browsed by deer and is one of the first natives to reemerge after European Buckthorn removal. 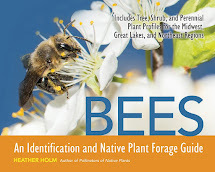 Read more about this native here. 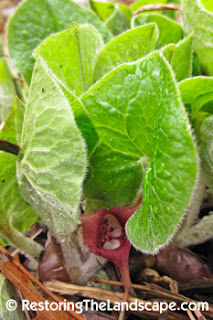 Wild Ginger (Asarum canadense). You have to look for these flowers underneath the leaves as they sit near the soil. The seeds are sought out by ants who are attracted to the fleshy elaisomes attached to the seeds. Read more about ant dispersed seeds here. This is a great spreading woodland native, makes an excellent ground cover in medium soils. It's my husband's favorite plant - he likes to feature this plant near our logs on the ground and underneath trees. Common Blue Violet (Viola sororia). 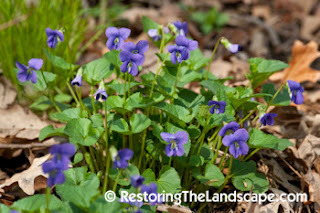 We have several violet species in the yard, many of the Common Blue Violet were existing. 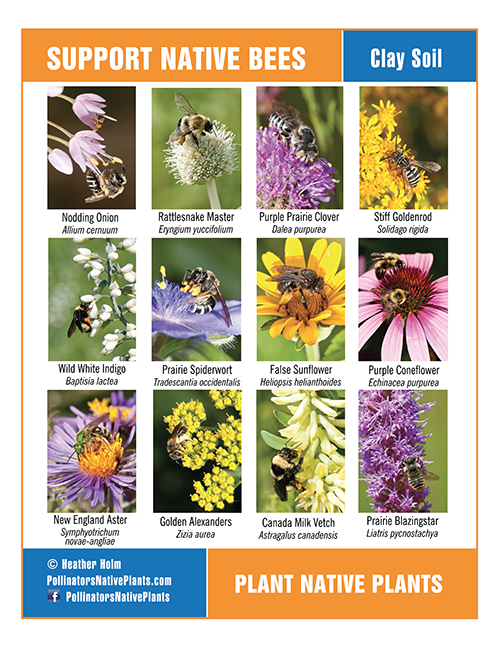 They work really well in our dry gravelly soil, helping to stabilize steep slopes where few plants will grow. 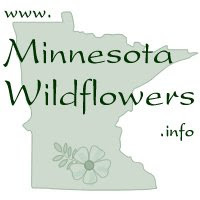 I interplant taller later flowering woodland natives around them such as Baneberry and Sweet Cicely. Violets are important for early spring pollinators and are the larval hosts to several Fritillary butterfly species. 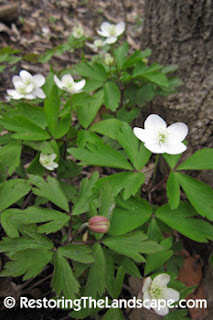 Wood Anemone (Anemone quinquefolia). This is also in full bloom in the woodlands. A tiny plant, but very showy in a mass. We had several plants reemerge in the back yard after being mowed for 18 years by the previous homeowner. The plants are now really starting to spread into a nice patch. 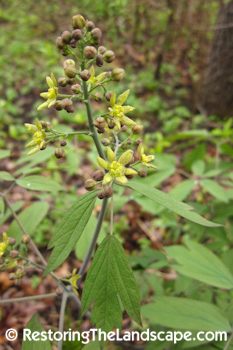 Blue Cohosh (Caulophyllum thalictroides). The tiny yellow-green flowers of Blue Cohosh are opening too. This native is fairly tall, 2-3 feet with blue-gray/purple stems and Meadow Rue like foliage. The fruit forms in late summer in a cluster and looks like a blueberry. They are not fleshy however like a berry but instead are a hard seed covered in a blue skin. Blue Cohosh likes medium to dry soils in shaded woodlands.